To explain the growth of Bitcoin gambling, I need to talk about Super Bowl 51. Which is curious when you consider that online sports gambling in the United States is illegal. This is due to what’s commonly called the Wire Act, which only sounds like a circus routine. The Federal Wire Act of 1961 prohibits financial institutions from knowingly wiring funds for the purpose of sports gambling. In 2011, the U.S. Department of Justice ruled that the Wire Act applied equally to online sports gambling. Financial institutions could no longer allow clients to whip out a credit card to bet on their favorite team. There is no federal law forbidding other kinds of online gambling. Individual states, however, can ban all the online gambling they like, and most do. Either way, online sports gambling remains verboten nationwide. … no one knows if Bitcoin is money, a financial instrument or something else. Legitimate Bitcoin casino operators and players have worked out arrangements between themselves for fair gaming. There are standards for provably fair games. The blockchain reinforces transaction fairness while allowing immediate deposits and, importantly, withdrawals. And, above all, the whole process is anonymous. 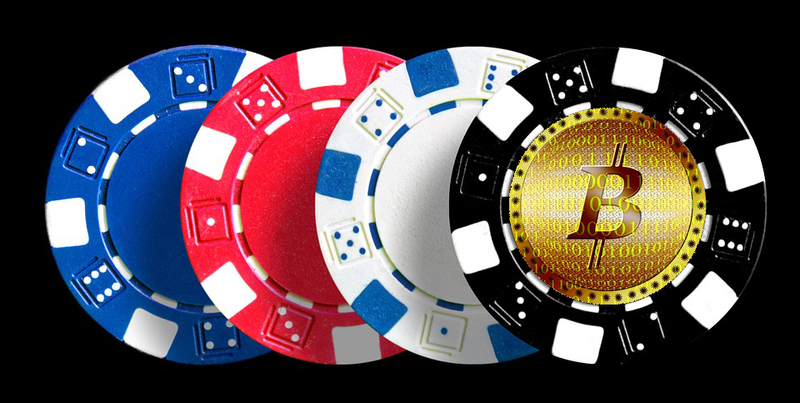 So perhaps it’s no wonder that, amid the weaseling and wordplay, Kyle Torpey hyperbolized a few weeks ago in his CoinJournal article, “Bitcoin is eating the entire online gambling industry.” It’s difficult to know if he’s right or turning up the volume on his wishful thinking. Maybe it’s just me, but none of this sounds on the up-and-up. Especially that part about “the whole process is anonymous.” If it’s legit, anonymity shouldn’t be a priority. As for trying to outwit the authorities on technicalities, well, that rarely goes well. Better not to proceed. Not even with caution. ** Do not take anything you read here for legal advice. If you’re bent on trying online gambling, first check with an attorney, which (and I cannot emphasize this enough) I am not.